Consumer Electronics and Appliances Manufacturers Association (CEAMA), established in the year 1978 an all India body representing Consumer Electronics, Home Appliances and Mobile Industry in association with Ministry of Electronics and Information Technology (MeitY), National Association of Software and Services Companies (NASSCOM) Foundation and MAIT had organised an awareness programme on Environmental Hazards of Electronic Waste under the aegis of ‘Digital India Initiative’ for schools in the city of Bhubaneswar. 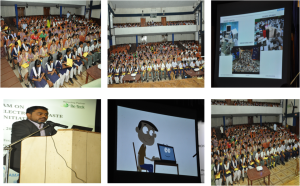 The awareness event is part of the sensitisation program to inform the teachers, students and parents about e-waste, ever increasing environmental impactsas a result ofincorrect disposal of e-Waste. 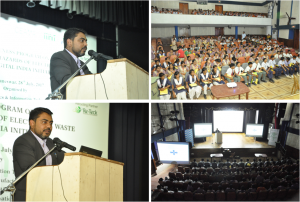 The programme clarified on the discrete steps of recycling and correct disposal of e-waste at different levels. The awareness event is part of the sensitisation program to convey thefundamental knowledge to the dealers associated with electrical and electronics instruments about e-Waste, mushrooming ecological and environmental concernsas a result oferroneous methods of disposal techniques being followed for such waste. 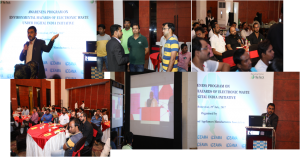 The programme elegantly spoke on the distinct steps of recycling and proper disposal of e-waste at myriad levels and the basic responsibilities that have to be shouldered by associated dealers. 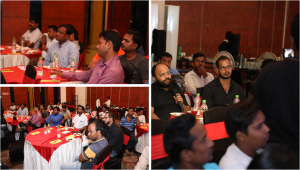 The awareness event was attended by around 60 dealers at HHI, Bhubaneswar.